Looking for a craft suitable for young children or teens, kids of varying ages, and even a range of abilities? 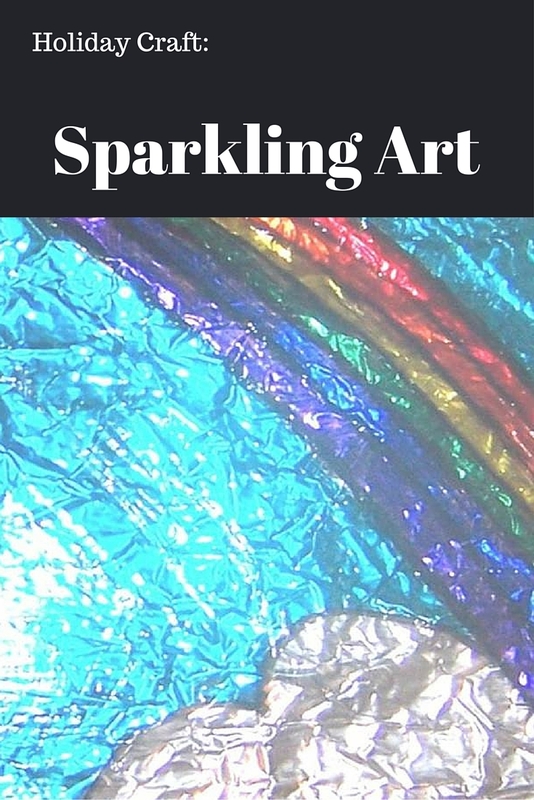 Sparkling Art may be just the idea that you need. The finished product is eye-catching with brilliant colors and flashes of light. You can adjust the difficulty level to suit nearly anyone, and the supplies are inexpensive and readily available. Best of all, it’s perfect for holidays or nearly any other event. One piece of 8.5 x 11” cardboard per person. One of the magical things about this craft is its flexibility. 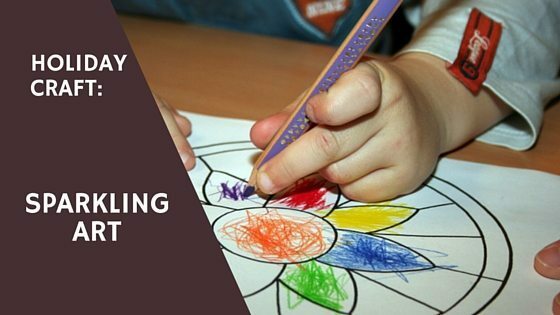 You can provide coloring pictures appropriate for the artists’ abilities: younger or less able children appreciate large, clear pictures with open spaces to color, while more able artists will enjoy more detailed pictures and fine-tipped markers. Coloring pictures can reflect a seasonal theme or can be a mixture of scenes that the artists will find pleasing. Remember that the markers MUST be permanent; water-based markers will not work for this craft. Tape a coloring picture to the cardboard. Each artist will need one to create the craft, but they can be reused later. Cover the picture with clear plastic wrap and tape the plastic on the back of the cardboard so that it stays tight across the picture on the front. The plastic needs to completely cover the front of the cardboard with no wrinkles or loose spots. Color as desired on the plastic with the permanent markers. For younger or less-able artists, have an adult or older artist trace the picture’s outlines in black after coloring is completed. In this way, even scribbled work will have a recognizable form and make an attractive product. Allow the marker ink to dry completely (may take several minutes). Carefully untape the plastic from the back of the cardboard. Lay the plastic with the picture aside. Remove the coloring picture pattern. Crumple a piece of foil and then flatten it back out. The foil should be large enough to completely cover the front of the cardboard and have excess to fold to the back of the cardboard on all four sides. Tape the foil in place on the back of the cardboard. Gently stretch the plastic wrap back onto the cardboard so the picture is on top of the foil. Tape the plastic on the back of the cardboard so it is stretched tightly over the front. Display the finished piece in bright light. The crinkled foil will catch the light and lend a sparkly appearance that is not unlike stained glass!